First off, quick apology for the recent lack of posts. It has been a crazy week, but everything should be back to normal starting Monday. 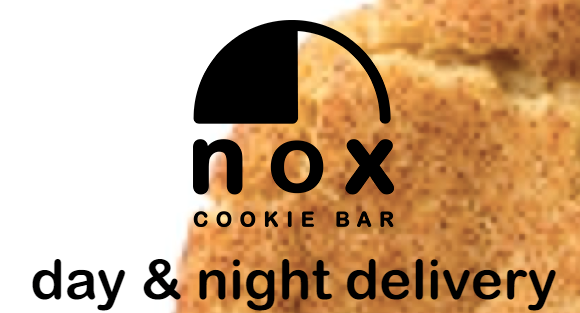 I have been meaning to plug a cookie delivery service called Nox for quite some time. They deliver freshly baked cookies from 11:30am to 2:30am, letting you fulfill a cookie craving without leaving the comforts of your own home (including those late-night cravings). They also participate in quite a few Downtown San Jose events. Cookie flavors include Chocolate Chip, Peanut Butter, Snickerdoodle, and Oatmeal Raisin. Pumpkin Spice is a temporary flavor for November. If you live near Downtown San Jose, you're in luck. Cookies will be delivered in 30-40 minutes and the delivery fee is only $3. In the greater San Jose area (including Santa Clara and Cupertino), delivery will take a bit longer and the fee rises to $6. For more info, head over to the Nox Cookie Bar website.